إذا كنت تبحث عن فندق بموقع جيد في بلو ماونتيينز، فقد وجدت ضالتك في Best Western Alpine Motor Inn . يقع مركز المدينة على بعد 1 km فقط. ويمكن الوصول إلى المطار خلال 120 دقيقة. يشكل هذا الفندق ملاذاَ مريحاً للاسترخاء ويمنح زواره فرصة للاستجمام والتجدد، وهو يقع على بعد خطوات من المعالم السياحية الكثيرة للمدينة كمثل: سينما ذي إدج, The Carrington, Blue Mountains ANZAC Memorial Hospital. استمتع بالخدمات الراقية والضيافة التي لا مثيل لها بهذا الفندق في بلو ماونتيينز. إن واي فاي مجاني في جميع الغرف, تسجيل وصول/خروج سريع, تخزين الأمتعة, واي فاي في المناطق العامة, صف السيارات هي جزء فقط من الخدمات التي تميز Best Western Alpine Motor Inn عن باقي الفنادق في المدينة. 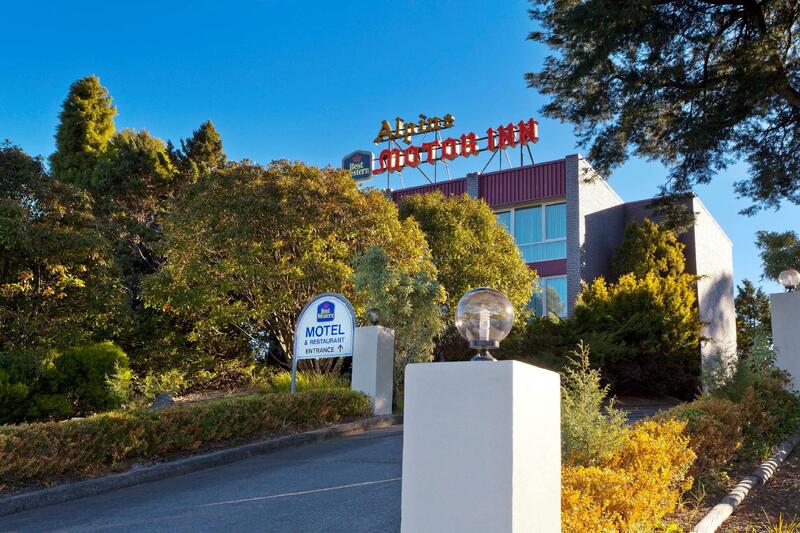 تنعكس أجواء Best Western Alpine Motor Inn في غرف الضيوف.إغلاق, مناشف, رف للملابس, تلفزيون بشاشة مسطحة, مرآة هي بعض الميزات الموجود في العديد من الغرف. يمكنك طلب اللائحة الكاملة للخدمات في الفندق ومن بينها مسار جولف - ضمن 3 كم, حديقة. إن كنت تتطلع إلى إقامة مريحة وهادئة في بلو ماونتيينز، فستجد في Best Western Alpine Motor Inn بيتك الثاني. مكتب الاستقبال مفتوح من الساعة 07:00 صباحًا إلى 09:00 مساءً. يجب على النزلاء الذين سيصلون في وقتٍ آخر غير الأوقات المذكورة أن يتصلوا بالعقار مباشرةً قبيل وصولهم؛ وذلك حتى يمكن إجراء ترتيبات بديلة. Very clean and nicely equipped room. Family room had a door separating main room from queen bed. Manager was very accommodating. Some complained online about roam noise but I didn’t notice it. I’d stay there again! Better if you have a car since it’s not downtown. Good service, typical motor inn. Good clean room, basic, pretty much what you would expect for a motor inn. Service was friendly and efficient, and overall no complaints. Fairly near to town and all the attractions. This motel far exceeded our expectations. Well done. I would thoroughly recommend it. The comment was slightly lower for staff because for the guy on the front desk, it seemed that I wa s interupting him! We stayed here for 1 night. The room was spacious, clean and nicely decorated. Very close to town center. Great value for money, will definitely stay again. Ideal for the Blue Mountains. Walked to the high street for breakfast, lunch and dinner, great sushi at Sushi & Co. Fully explored the the hiking trails, a beautiful part of the world. Room was clean, big and a firm mattress. Reception was very friendly. Noise from the motorway was loud at night but would still stay again due to the convenience and price. 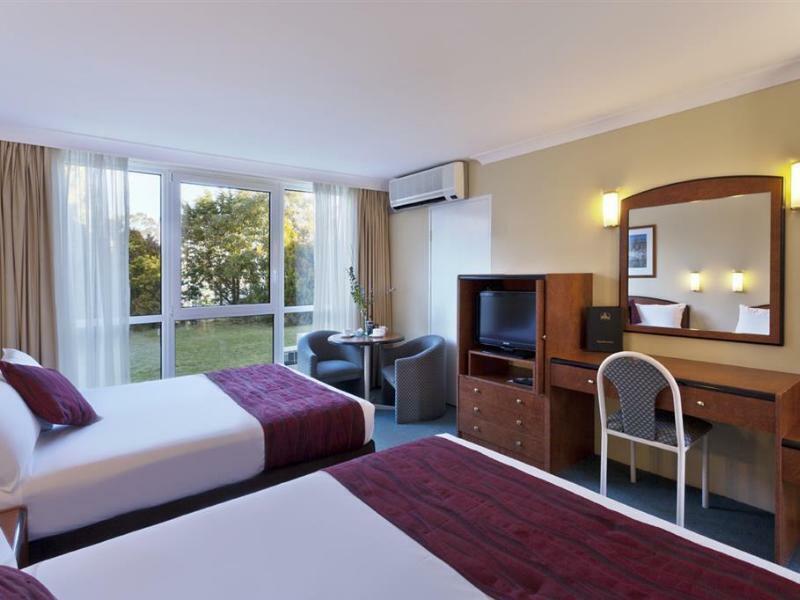 Happy with the Hotel,..no complaints ...if in Katoomba will stay there again but will not eat at the Rosewood Cottage Bar & Grill Restaurant which they recommend as the food there is horrible, tasteless and expensive. They recommend their guest to go over there to have a dinner as the Motel guest get 20% discount..but for all the discount in the world I will still not eat there. I am satisfied with the room. 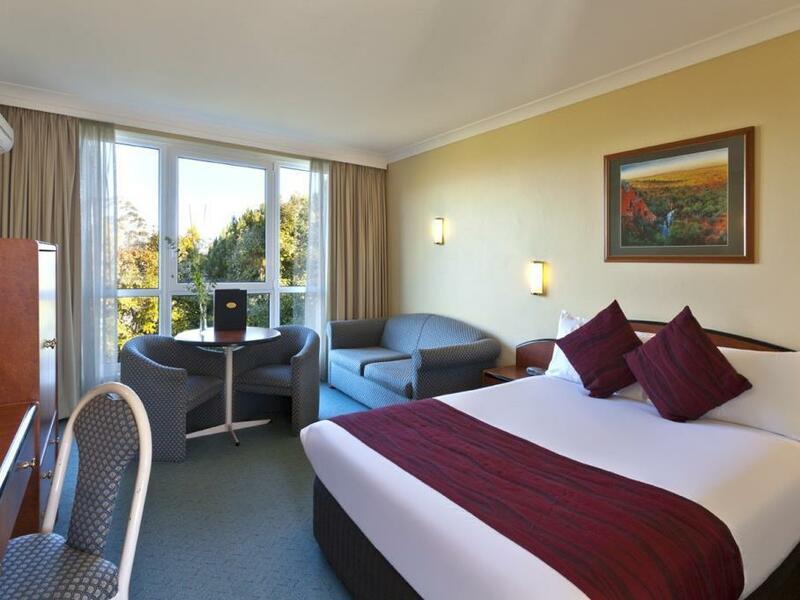 But just a note about the address - the GPS may direct you to the High Mountain Motor Inn which is not in Katoomba. Apparently the council has changed the address system so it may get confusing. Keep an eye on a BP station on the other side of the road when approaching Katoomba from Sydney, Best Western is next to the BP station. We stayed in a family room . Very clean and quiet , looks like the rooms have been recently up dated . Ten minutes drive to the main shopping centre . Would be nice if there was a pool on the premises . Pros: - Clean - Great View - Great Location - Massive Bed - Great Price for Room Con: - Not really a con, but me and my girlfriend like to shower at the same time so it was a bit small. Otherwise, it's perfect if it's one person at a time. Great location for the Blue Mountains. Easy drive to all the main tourist attractions. The room decor is a bit dated but otherwise, it contains all the necessities eg; kettle, small fridge, clean bathroom, towels and parking space for your car. Room is clean and more spacious than other motels. We stayed just for a night. The room itself really good as good as typical 4 stars hotel considering that the place just motel level. Water pressure in the shower bit sad. It is really slow and the temperature of water will changed when someone from next door using the shower at the same time. The front desk asian guy seem like need to improve his customer service skills. Overall, its ok. Not so much problems. We really enjoys our stay. We were very impressed with the helpful and courteous manager and his staff. 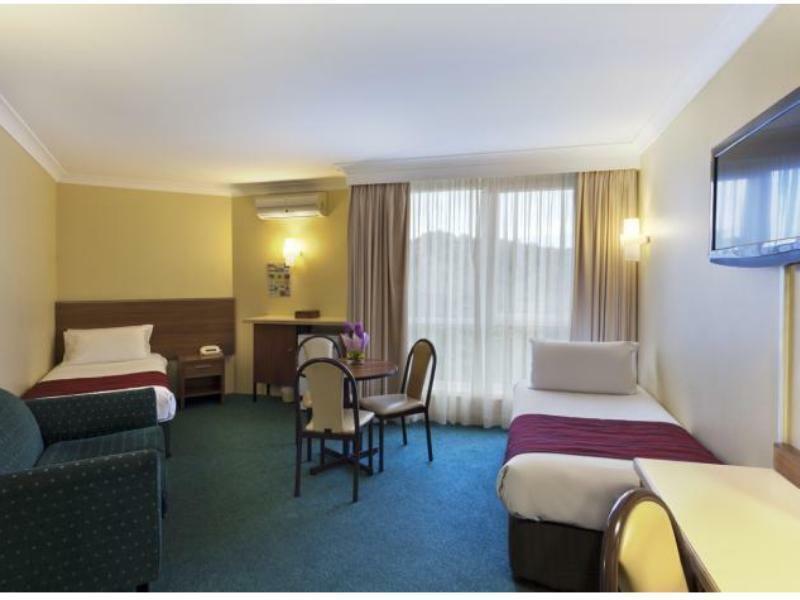 Our room was spotless, quiet and comfortable.The Motor Inn is located far enough away from the hustle and bustle of Katoomba but close enough to be able to avail ourselves of all the attractions of Katoomba and surrounding areas.Would thoroughly reccomend. Stay was pleasant, only complaint we have is the cold bathroom during winter as it drew in cold air from the outside. Near to Katoomba town centre, we had a great dinner of wood-fired pizzas that night. I have a pleasant 2 night stay at Alpine Motor Inn. The room is big and clean and cosy. Besides a good size TV screen you have free wifi. The room is quiet despite being next to the highway. The reception staff is friendly and helpful. It was a pleasant stay. I actually dropped my wallet containing a few hundred dollars in the carpark on Saturday night and a family who were checking out on Sunday morning found it and handed it in to the desk. I was extremely grateful and wanted to thank them, but by the time I walked down to the desk they had driven out of the driveway. Very honest people. 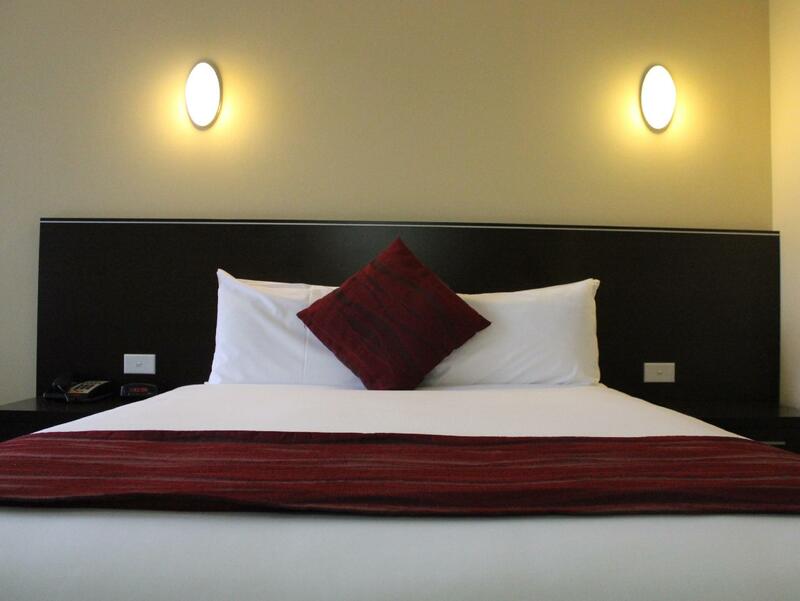 Comfortable and quiet, good service, plenty of free parking, free wi-fi. Room was clean and in good condition, bathroom had bits of a previous guests' hair in places. Have stayed there before and would again. We stayed one night when we visited Blue Mountain. The location is very close to the town center, only 2 mins drive distance. It is also quiet, good for senior people stay around. Definitely will recommond to others.